The largest county in England, Yorkshire is known for expansive green moors, historic heritage and rich cultural legacy. 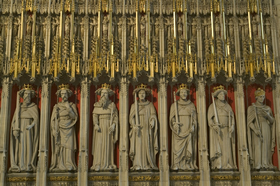 Elegant in appearance, the White Rose of the English royal House of York is used as the emblem to represent the beauty and elegance of the stunning county which is even lovingly termed as ‘God’s Own County’ at times. The history of the county runs back centuries, centuries of Celtic settlement, illustrious royal houses, Civil Wars, industrial evolution as well as dark episodes like that of the Black Death of the Fourteenth Century that have gradually shaped Yorkshire into the place that it is today. Nestled between the North Sea coast on the east and River Tees on the north, Yorkshire is bordered by the Humber estuary on the south and the rolling Pennine hills on the west. The countryside of Yorkshire is drained by a number of rivers like Don, Sheaf, Goole, Swale, Ure and Esk. The county is made of diverse topographical regions, including the North York Moor, the south-eastern Chalk lands, hilly regions of the Pennine and the Central Vale region. The Industrial Revolution came to impact the economy of Yorkshire in a large way. 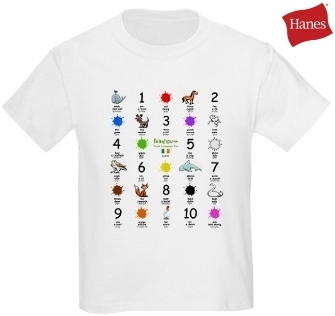 Historically, the shire had become a seat of textile and steel industries. Although overcrowding led to the gradual decline of the traditional industrial centres, today Yorkshire is a bustling hub of economic activity. The town of Leeds is an important financial city in England and the major economic hub of Yorkshire. Sheffield, a city that had boasted of major steel and coal-mining industries in the last few decades, has faced economic decline in recent years. However, today the defunct heavy industries have come to be replaced by service oriented industries and specialist engineering functions. 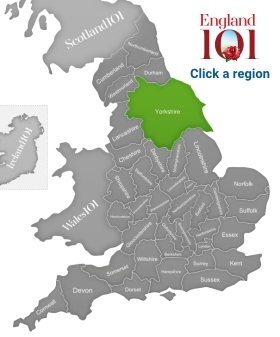 The major port city of Yorkshire is Kingston upon Hull which also doubles as a manufacturing base. The fishing industry of the port city however, has declined in recent years. The tourism industry of Yorkshire has experienced growth with the appeal of its National Parks as well as novel attractions like the Harrogate International Centre. Yorkshire experiences a cold and temperate climate throughout the year with a substantial amount of rainfall. February is the driest month of the year while June experiences the maximum amount of rainfall. Yorkshire is also famous for its architectural splendour that combines the aesthetic sensibilities of different eras in harmony. 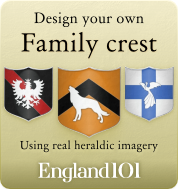 Some notable Castles include the picturesque Bowes Castle, Richmond Castle, Pickering Castle, Skipton Castle and York Castle which exhibit the elements of the Norman-Breton period. 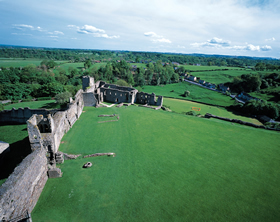 Middleham, the childhood home of King Richard III of England is also located in Yorkshire. Allerton Castle, Castle Howard and the Earl of Harewood’s Harewood House are other heritage sites that attract throngs of tourists to Yorkshire. Yorkshire can also boast of being the birthplace of several important poets, artists and painters who have left behind a chequered and illustrious literary legacy. The Bronte Sisters have immortalised the moors and wilderness of Yorkshire in the pages of their immortal novels. The local breweries, the swigs of local beers and the strains of local music add to the enigma that Yorkshire is. 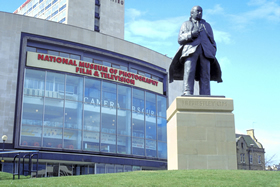 National Museum Of Photography Film And Tv, Bradford, West Yorkshire, England. North of England - York Minster cathedral organ detail, York, North Yorkshire. 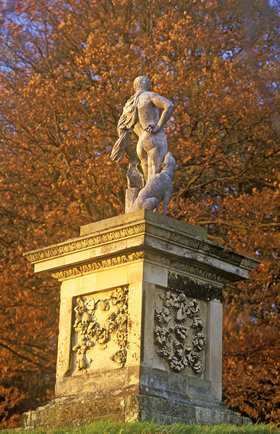 The Meleager statue dating from 1711 in the grounds of Castle Howard, Castle Howard, North Yorkshire. 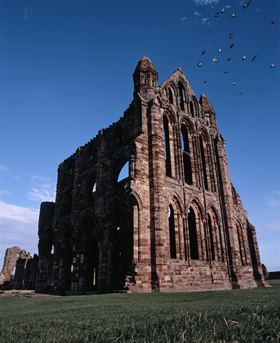 The remains of Whitby Abbey, a Benedictine Monastery dating back to 657AD, sited high above the town on Whitby's East Cliff, Whitby, North Yorkshire. 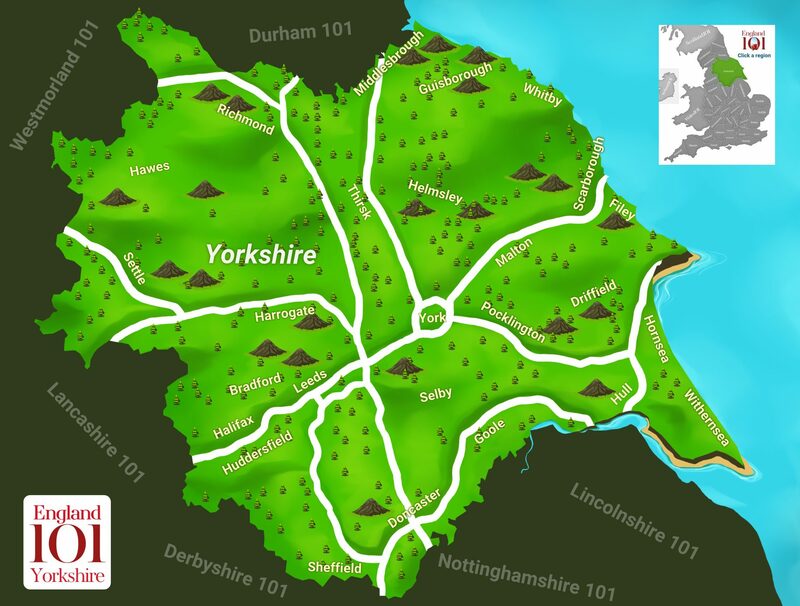 How much do you know about Yorkshire ?